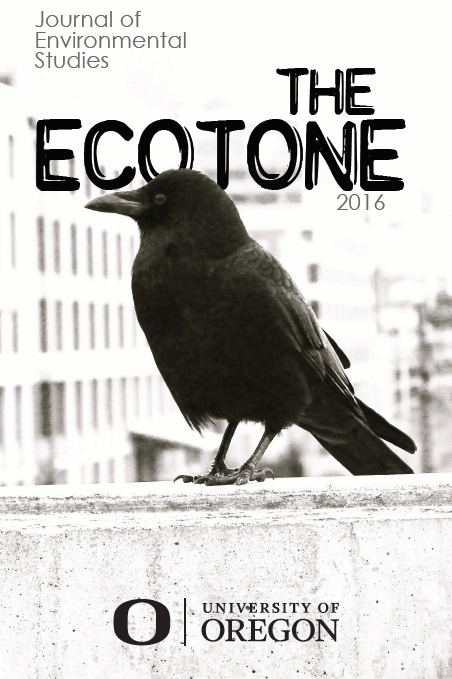 Project Description: The Ecotone is an annual literary magazine published by the University of Oregon Environmental Studies program. As editor-in-chief, I sought submissions of writing, artwork, and photography from students, faculty, and staff at the UO, related to environmental issues. I assembled an editorial team of graduate students to select, refine, and edit submissions and I used Adobe Photoshop and InDesign to design and produce the publication. I edited photo submissions for black and white publication, set the typeface, and established visual branding through graphic design. Project Description: CREATE! is a wonderful international nonprofit organization that works with populations in rural Senegal to help them cope with water, food, and fuel shortages resulting from the impacts of climate change on their communities. 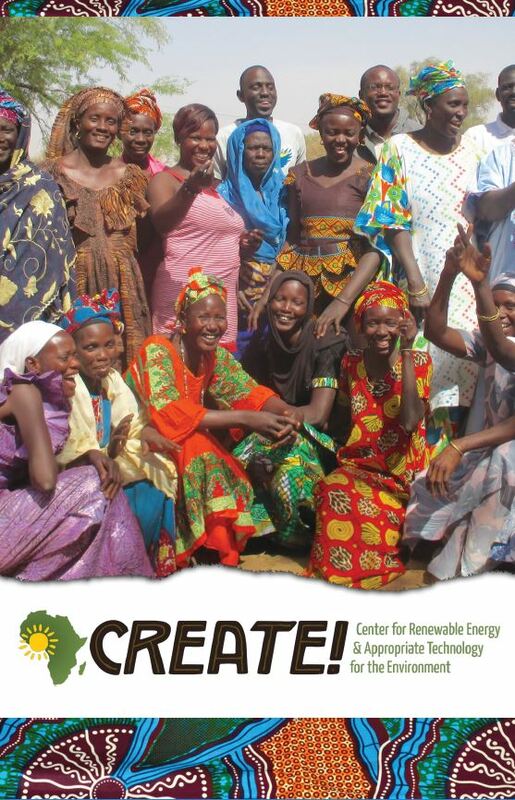 The challenge for this project was to create a colorful, visual magazine-style booklet that would encompass the heart of CREATE!‘s mission as an organization, and concisely explain the breadth of their programs across rural Senegal. Using the organization’s visual branding as a starting point, I drew upon elements of Senegalese culture and aesthetics to create the border artwork and design elements that brought this document to life. 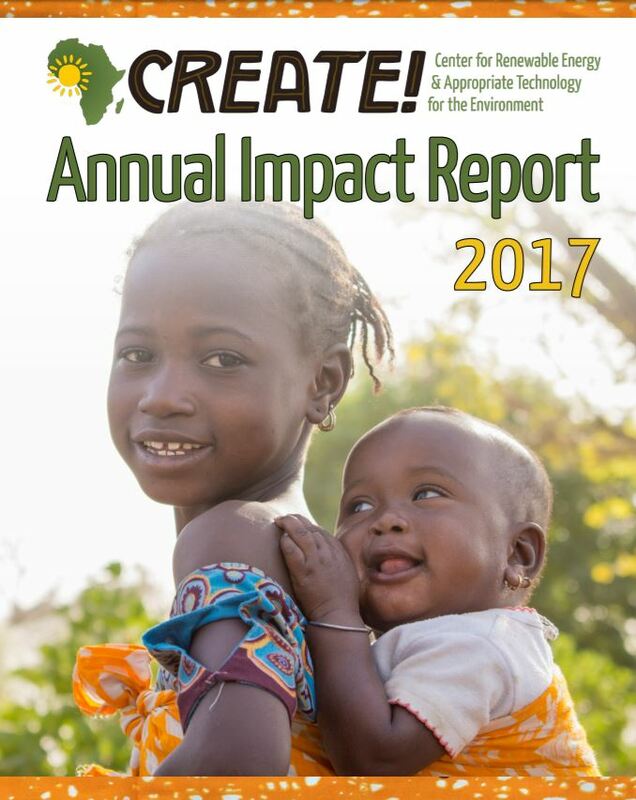 Project Description: Using inspiration from the CREATE!‘s branding and design standards, I designed the 2017 Annual Impact Report to draw on colorful and vibrant images of their partner villages to create a visually-striking publication that would catch the attention of constituents and stakeholders, while also conveying the important information included in an annual report. Project Description: Bering Land Bridge National Preserve is one of the most remote national park units in the country that few people ever have the chance to visit. 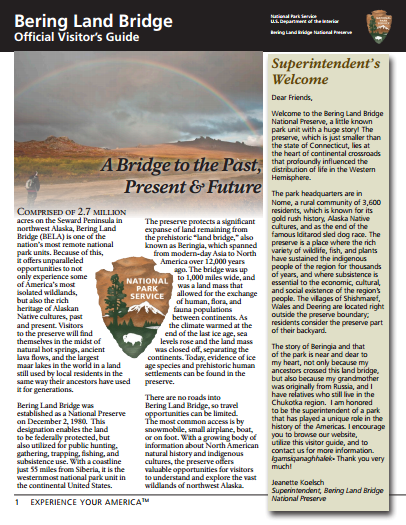 As such, my challenge was to create a online visitor’s guide, abiding by strict National Park Service design standards, which would allow people around the world to virtually explore the preserve. To create the publication, I documented the local cultural and natural history of the preserve by photographing and writing about the remote backcountry, and interviewing locals in the villages that surround the public land. This unique project served to bring the preserve to a wider audience, by making it accessible and available online and in multiple formats. At the same time, it also worked to celebrate the local uses and history of the preserve by the surrounding Alaska Native villages, bringing together cultural traditions supported by the continued protection of the land for future generations. This logo was created for a Standing Rock fundraising shop, based out of Eugene, OR. The shop was designed out of a collective of artists who came together to donate pieces to be sold for 100% of profits to go to the Standing Rock Sioux in their efforts against the Dakota Access Pipeline. The TEDxTampaBayRiverWalk logo was created for a local Tampa Bay TEDx event in August 2015. The theme was “Going Places” and the logo was designed to incorporate the TED colors, while also bringing in a unique, clean, and playful aesthetic.